G Street NW. Image via Google Maps. Alex Block has a response up to my Gentrification’s Forgotten Block series (here, here and here) over at his very, very good blog, The City Block. It gets a lot right and a lot wrong, so I want to respond point by point. To begin with, introducing the subject by exploring the general resilience of older industrial architecture is an important point. In industrial city after industrial city, warehouses and mills have been reclaimed for a variety of other uses. Moreover, they are not only functionally resilient, they are aesthetically so. It’s still a pleasure to look at buildings like the ones Block points to in Minneapolis (although I would point out that unlike in D.C., those have ground-floor retail, making them “hulk over the street” less). Moving to the bulk of the post, though, Block makes four separate criticisms of my series. 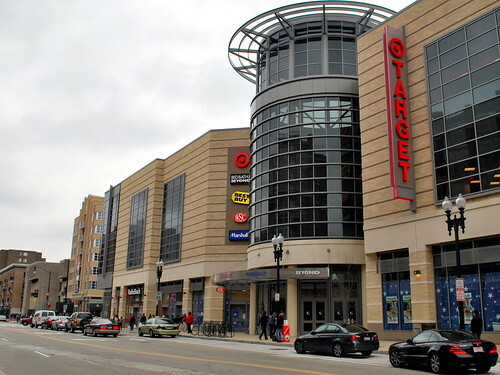 The first is that because the larger GPO site is government-owned, one wouldn’t expect it to be gentrified: “Given government ownership, you wouldn’t expect these blocks to develop.” That hasn’t been the case in D.C., though. 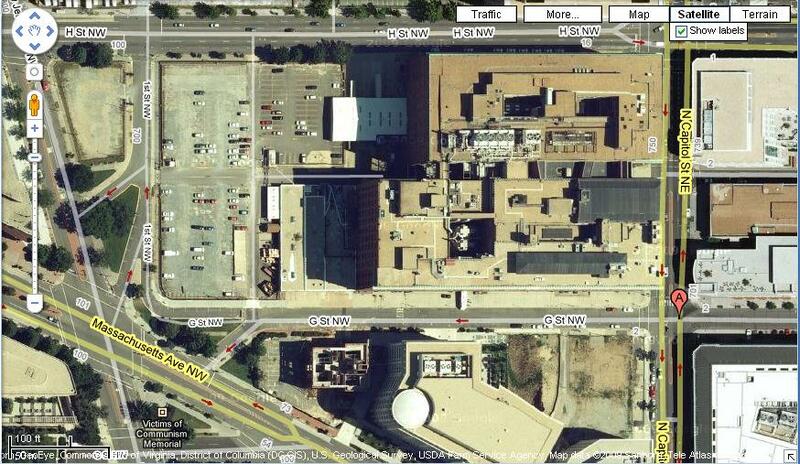 The DC USA development in Columbia Heights, for example, was built almost entirely on District-owned land. The Gales School site was sold by the District just last year! The Feds are in on the game, too. Up at the New York Ave Red Line station, the federal government rebuilt parts of 1st, 2nd and N Streets while building the ATF building to ensure a connected street grid and access from private developments to the Metro station. Both the federal and District governments are quite capable of using their power as major landowners to shape neighborhoods. Sometimes they lead the private sector and sometimes they follow it, but they are certainly active. There’s no reason to think that government ownership is an obstacle to gentrification. Block’s second point is that “Kazis implies that the block has been encircled by gentrifying properties. I don’t think that’s the case, either. To the north, development is sparse, and what does exist is relatively new. To the west, the Douglas Development Building is more the exception than the rule.” There’s a lot to unpack in this statement. I chose to look at a one-block radius around this street. Indeed, for one block in every direction, there is heavy upscale development (the block to the north is half that and half Gonzaga High School). Block, I think, looks more widely. If you look at a 3- or 5-block radius, Block is entirely correct; to the north of the area you don’t have much development and to the west it’s dominated by the scar of I-395. These are two very different lenses, though, for understanding the block. At Block’s more zoomed-out view, there’s nothing surprising about a block being skipped over. The general area is a borderland between gentrification and underdeveloped areas. Block’s very well-taken point that this is all new development and we should see how it all ends up underscores this point. On the other hand, from the point of view of a pedestrian, it doesn’t matter that two blocks further north, the neighborhood changes quickly. If you’re at street level looking down this block, it looks very different from anything else you can see. It is a very noticeable interruption in the business neighborhood. I’m not really sure which is the better angle to view gentrification from; I guess both is probably the answer. At this site, they provide two very different perspectives. Block’s third point is mostly that the GPO site is denser than I made it out to be. When talking about the site, I mostly meant the entire site, including the extensive parking facilities, the one-story sections, the cut-ins for loading bays and such. The core building is, however, eight stories tall. 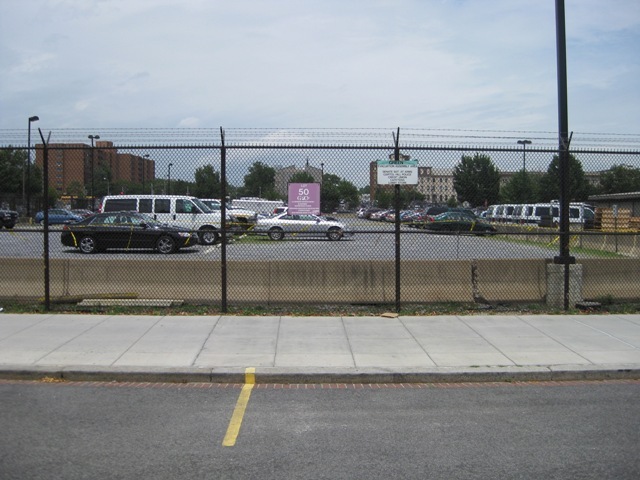 As the parking lots turn out to be owned by the District (although plastered with GPO signs…. ), I stand corrected. Chop those off and it’s back to being high-density. Block’s final point similarly is just one of miscommunication. He writes that “ Even if the GPO leaves the area, the building will undoubtedly remain and will not be bulldozed, as the great warehouse districts in Minneapolis and other places show. These old industrial warehouses are tremendously adaptable spaces.” I quite agree that the GPO building will remain. When I wrote that we need to figure out how not to “bulldoze the past,” I wasn’t talking about specific buildings. At the end of the day, architecture matters much less to me than use. The core GPO building will survive, in somewhat altered form, but it won’t be industrial anymore. The Gales School, I imagine, won’t last at all, much less as a homeless shelter. The block, like many blocks before it, will be subsumed into D.C.’s extremely monotonous (though with many great individual buildings) downtown. The homogenization of the area into a professional, commercial district bothers me, not the homogenization into a particular architectural form. For example, there is an office building on the corner of Pennsylvania and H Street NW that I think is just beautiful; I comment almost every time I go by. It’s still a mostly dull and lifeless district. While all things being equal, I’d like to see more buildings like that one, I’d really like it if there were more buildings that weren’t offices right there. The question I was really trying to grapple with in that series was whether there were some kinds of uses that we don’t want to tolerate in our pursuit of mixed-use neighborhoods. The architectural questions are more symbolic to me than important. What this whole conversation raises for me is how interesting it is to look at the same urban phenomena at different levels of scale. I usually take a fairly macro view of things, caring about policy rather than design. This series was based on a sense that this particular block deserved study from street level. Not to put words in his mouth, but I think that block was looking from an intermediate perspective slightly smaller than that of the neighborhood and saw something different. Zoom out further, and this block would look different again. Tags: architecture, Columbia Heights, G Street NW, Gales School, GPO, homogeneity, industrial use, mixed-use, NoMa, Washington, D.C.